One is called Project Spartan, made by Microsoft and is based on a new version of the Trident engine, used by Internet Explorer. The other is called Vivaldi, made by a company founded by Opera co-founder John von Tetzchner and is based on Chromium, using Google’s Blink engine. Launching a new browser in a market dominated by a few big names seems to be a dangerous thing. Microsoft probably aims for the mass, since it’s likely that the browser will be the default on everything that runs Windows 10. Vivaldi targets a specific group of web surfers: power users, basically people who loved to use Opera before the company decided to switch to Google’s Blink engine and made a completely new browser. Microsoft’s Internet Explorer isn’t as popular anymore as it once was. In terms of speed it’s been overtaken by its competitors, which also offer a broad variety of extensions and web apps. It just feels kind of old. Microsoft apparently investigated a few options: After a few months of testing, Microsoft stated that the Blink engine was superior to WebKit, but understood that being dependent on something made by Google probably wasn’t the smartest thing to do. So it decided to use its own Trident engine and improve it. Tests by AnandTech show that Spartan clearly outperforms Internet Explorer and in some tests even Chrome. 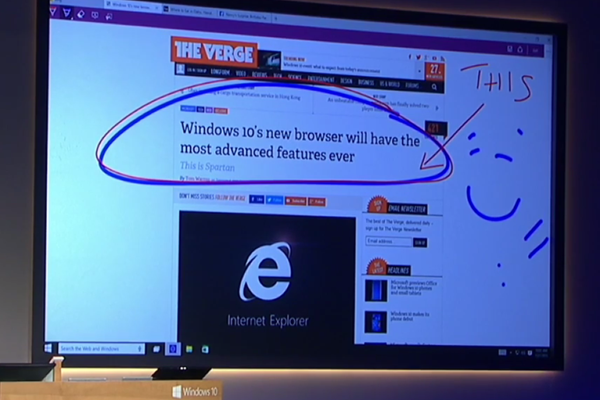 Microsoft wants to make a more modern browser that supports extensions and it also has a few nifty features like on-page note-taking and built-in Cortana. But the question is: will people use it? Or in other words, will people leave Chrome? I think Vivaldi might have a better chance to succeed. In browser-land, winning over the mass is the most difficult thing to do. Trying to satisfy specific needs and becoming the best in it is easier, and that’s exactly what Vivaldi sets out to accomplish. Opera’s user base was (and for a part still is) loyal to the browser and strongly connected to the development. There was a community. The browser had unique features for power-users. But when the company, for obvious reasons, decided to ditch their own Presto engine and used WebKit and later Blink instead, there wasn’t much difference between Opera and Chrome. Sure, it’s not weird that a new browser doesn’t have all the features yet. 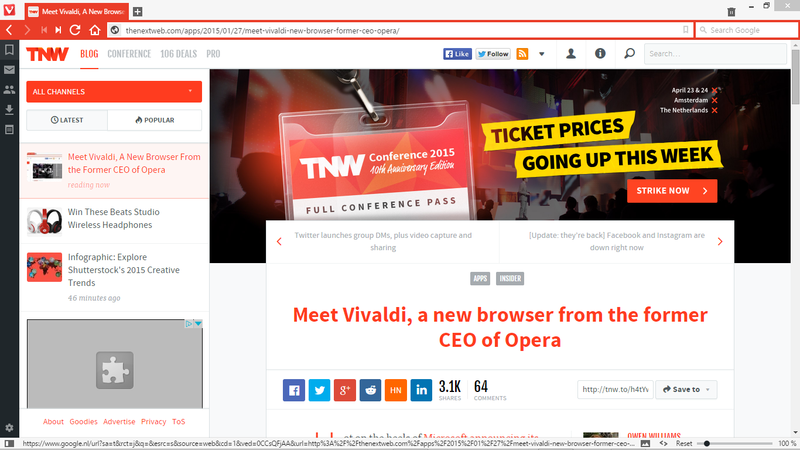 Vivaldi’s technical preview is a way to show what the company is trying to do and they added just enough to do that. But Opera was already there for a long time, with a very mature browser. People don’t want to leave that for a newborn, missing some basic features like a bookmark manager and an important aspect, Opera Link, was also left out. It took quite a long while before important functions where added and some are still in development. Right from the beginning, Vivaldi focused on the community, having started out as a forum for My Opera users (which is now closed) before unveiling their own browser. For Microsoft, it will be tough to convince people to make the switch, but they have a better chance than in the recent years. Chrome and Firefox are multi-platform and Spartan might not even be released for Windows 7. It’s also interesting to see what Microsoft’s mobile strategy will be. Spartan might end up on Android and iOS, but nothing has been announced so far. Von Tetzchner’s goal will be easier to reach. I think he has a fair chance to win over users from the browser he once helped come to life.